Shane McLeod (second from left) and the team from Roseberry with the donations. RE/MAX Gold Gladstone’s second annual Back to School Supply Drive has finished on a fantastic note this year, with over 200 students assisted – more than double last year’s total – and able to start the 2018 school year with the school items they need to get a great education. Owner/broker Shane McLeod, initiated the school supplies drive last year when saw less fortunate families in his community struggling to afford school items their kids needed to start or continue their education, hot on the heels of a costly Christmas. When a call for assistance via social media, resulted in a very generous response, Shane partnered with local community charity, Roseberry Qld, to distribute the donations to around 80 children that first year. Looking to grow the event further this year following an increased call for help from struggling local families, the RE/MAX Gold and Roseberry Qld teams launched a targeted social media and local news campaign and were blown away by the generosity shown by the Gladstone community: “Gladstone has always stepped up with helping those in need when the call goes out” said Shane McLeod. “We donate approximately $23 million dollars annually as a community across all charities, in addition to projects like this that include physical items or service given. We truly belong in a special region of givers, even when times are tough for everyone,” he said. 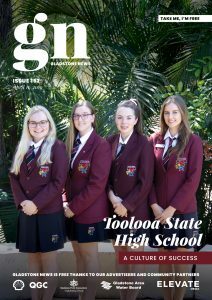 This year, the school supply drive resulted in thousands of donations and over 200 students from grade one to tertiary being given their items via Roseberry Qld, in time to start their school year. “The look on these students’ faces, especially the little ones, when they come in to collect their gear is just precious,” she said. 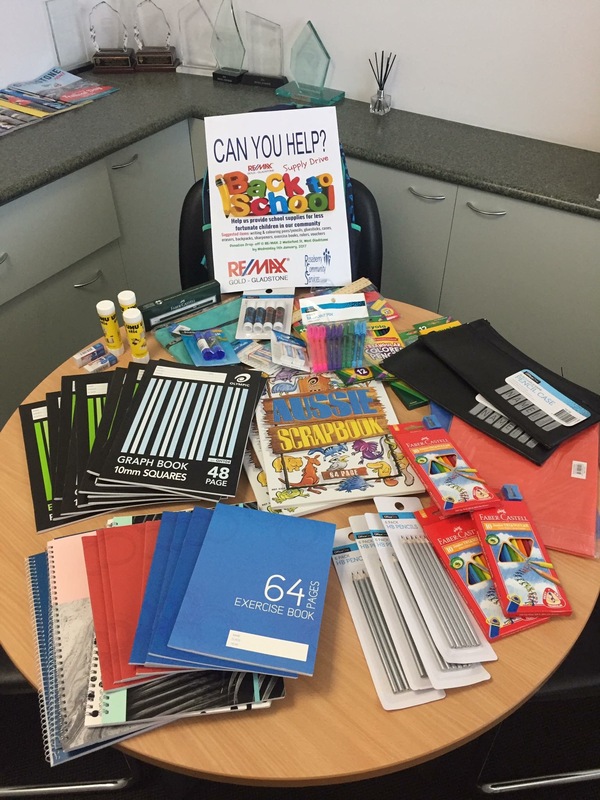 Items donated included backpacks, lunch boxes, pens and pencils, glue sticks, exercise books, rulers, colouring pencils, pencil cases, folders and much more, in addition to hundreds of dollars’ worth of vouchers. RE/MAX Gold and Roseberry Qld are determined to keep the annual event a mainstay of their community projects and thank the Gladstone community and their staff for such outstanding support. School items can be donated all year round.